Drunk driving charges can greatly disrupt an individual’s life in any industry, but facing a DUI (driving under the influence) charge as a member of the military can result in devastating losses, both personally and professionally. A Navy squadron executive officer was recently removed from his position by the Navy after he was allegedly caught driving under the influence of alcohol while in a vehicle on the Naval Air Station base in North Island, California. The officer’s squadron was undergoing training when the incident occurred. The former squadron executive officer was temporarily demoted to the Navy’s Atlantic strike fighter wing staff located in Virginia following a disciplinary hearing, or Captain’s Mast. 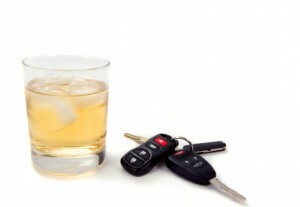 According to the Uniformed Code of Military Justice (UCMJ), operating a motor vehicle while under the influence of alcohol may result in a maximum punishment of dishonorable discharge, forfeiture of all pay and allowances, and even 18 months of confinement in the event that a person suffers an injury. If no one is injured during the incident, the operator of the vehicle may be punished with a bad-conduct discharge, as well as forfeiture of all pay and allowances and confinement for six months. The Law Firm of Joseph H. Low IV has a strong reputation for success in providing aggressive legal defense of military members facing criminal charges. As a former U.S. Marine, Attorney Joseph H. Low IV is passionate about ensuring that those who fight for our rights all over the world are given the best advocacy in their own time of need. If you or a loved one is facing military criminal charges, please do not hesitate to call (888) 454-5569 for a free, confidential consultation.